Sen. Kamala Harris, D-Calif., kicked off a book tour promoting her new memoir at Lisner Auditorium Wednesday. Sen. Kamala Harris, D-Calif., kicked off a book tour at Lisner Auditorium Wednesday with a discussion on her childhood, her career and the current state of U.S. politics. Harris started the discussion with childhood anecdotes about the influence her parents have had on her political career. Harris’ mother, a breast cancer researcher, and her father, a professor of economics at Stanford University, were freedom fighters in India during the country’s independence struggle, she said. 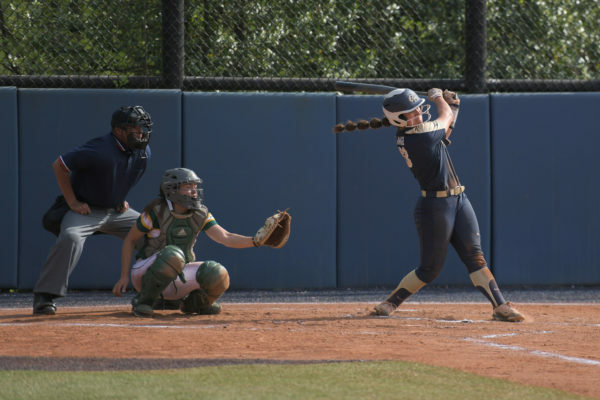 “She raised her daughters with a belief that we could do and be anything,” Harris said of her mother. She also spoke of her decision to attend Howard University, a historically black institution, which she said shaped who she is today. Harris said she dreamed of attending Howard as a child because “one of my heroes,” Supreme Court Justice Thurgood Marshall, was an alumnus of the university. “The beauty of being at Howard – and I hope that everyone has an experience similar – is to learn and reinforce that you can do and be anything you want, and you do not need to conform to anyone’s box about who you’re supposed to be,” Harris said. 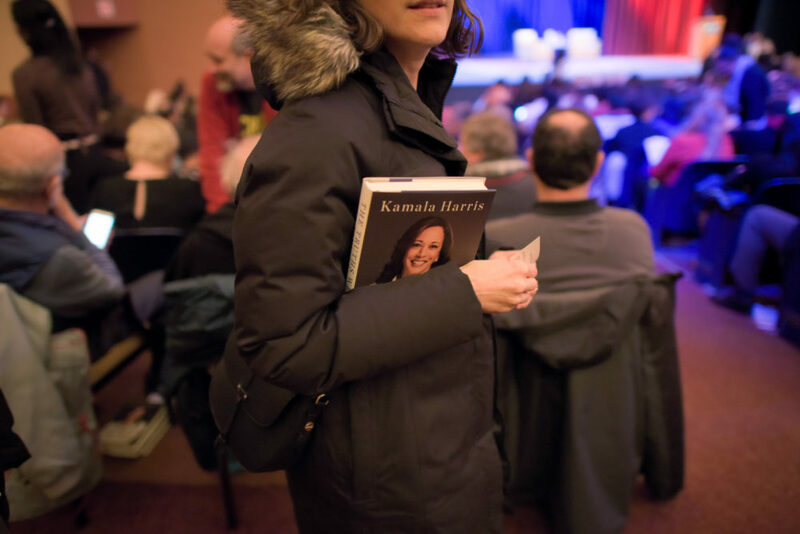 An attendee looks for her seat before Sen. Kamala Harris, D-Calif., takes the stage at Lisner Auditorium Wednesday. 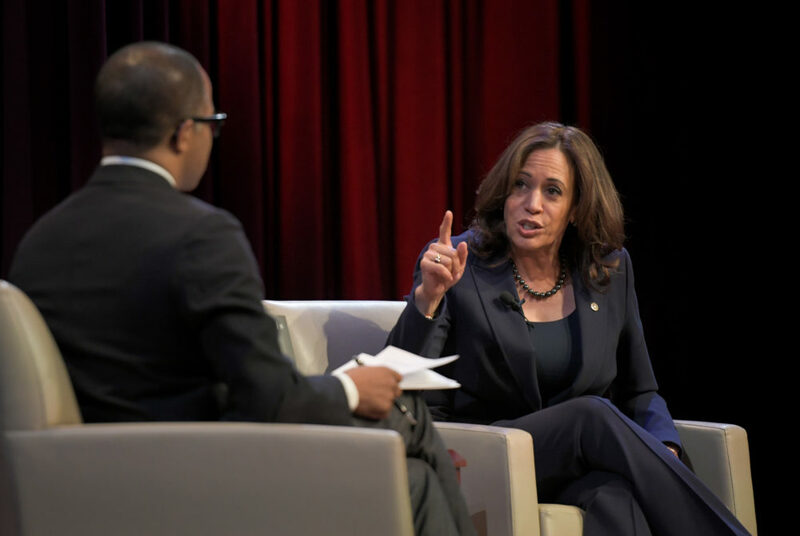 Harris talked about her career in public service, including two terms as district attorney in San Francisco, a term as California’s attorney general and her current term as one of California’s senators. She recalled the barriers she faced when she first sought statewide office in her election for district attorney in 2010. Harris said her job as California’s top prosecutor allowed her to be “the voice of the most vulnerable among us.” She said there is a need for progressive prosecutors to combat what she called a “broken” criminal justice system. 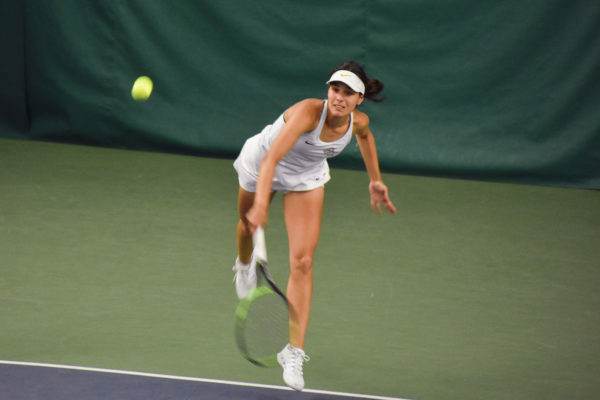 After talking about her life and career, Harris transitioned to current political issues, including the ongoing partial government shutdown, the second longest in American history. She compared President Donald Trump’s demand for border wall funding to a child’s request for a toy train. Harris also spoke about the role that a free press plays in a successful democracy, pointing to the work of reporters in exposing the Department of Homeland Security’s child separation policies last year. “I am certain, had those crews of journalists not gone down and shared the stories with the American public about what has been happening down there – if that had not happened, we wouldn’t have seen the outrage among the public so that they had to end that policy,” she said. Harris ended the night by highlighting the importance of maintaining hope during a time of political uncertainty.